The brothers Carlo and Giuseppe Brunelli were prominent figures within the first wave of emigration from Trentino to America. 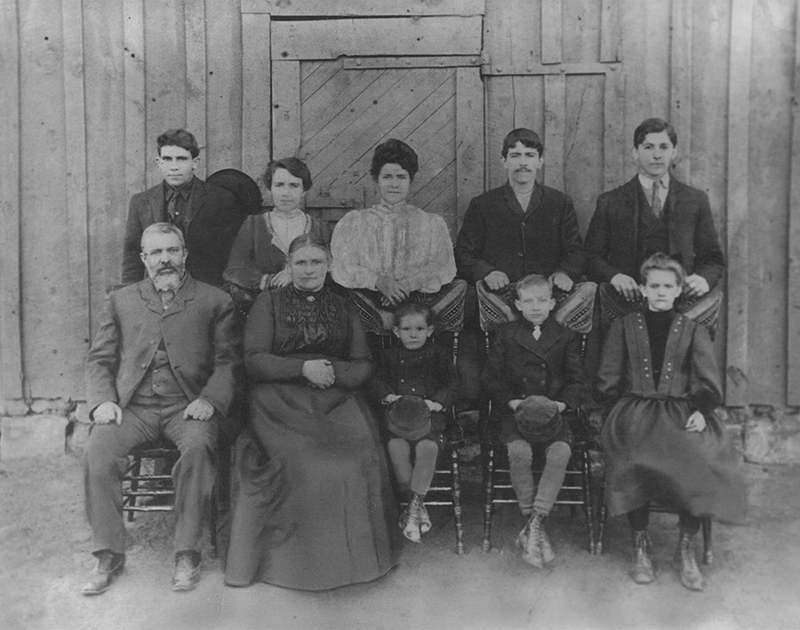 Born in the small community of Borgo Rango next to Bleggio Superiore, Tyrol, in 1854 (Carlo) and 1856 (Giuseppe) to Domenico and Teresa Troggio; the first to emigrate to the United States was Joseph who came to Walsenburg in 1881 working in the mine Walsen from 1882 and 1887. 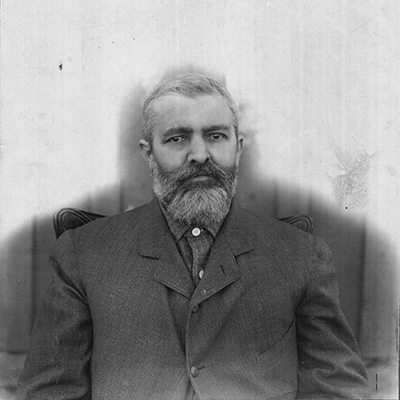 Carlo joined him in 1883 and his wife, swiss born Marina Zocchi, followed him in 1885 with their eldest daughter Teresa. 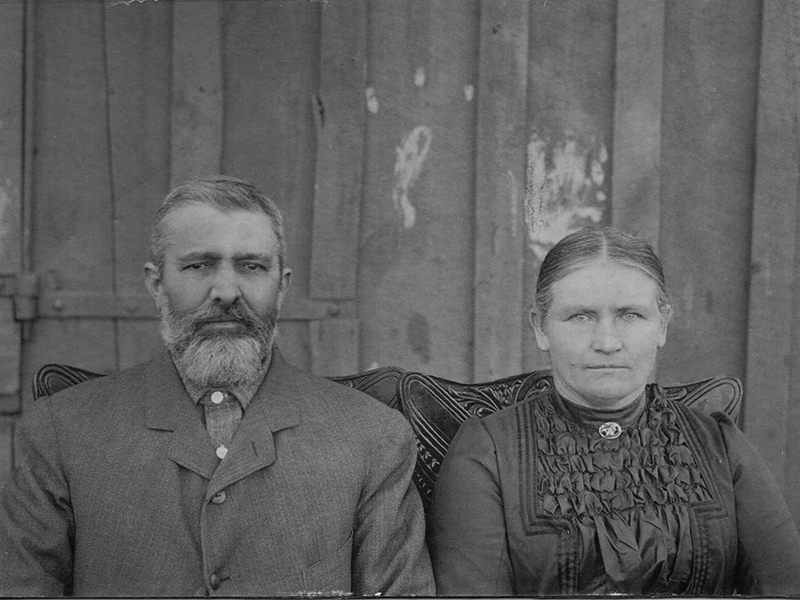 In 1890 Giuseppe married Marina’s younger sister, Caterina Zocchi, and together with Carlo got several land concessions around Bear Creek (1890, 1894 e 1904) thanks to the Homestead Act. 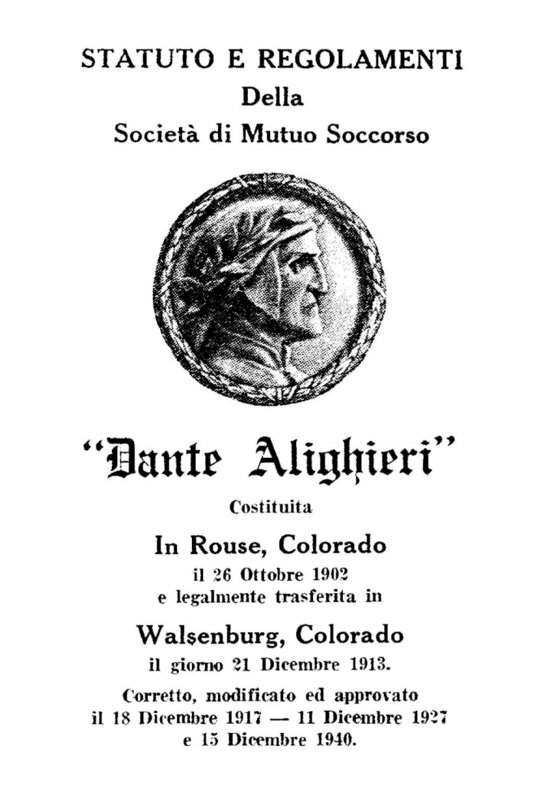 In 1902 Carlo e Giuseppe were amongst the 70 founders of the Società di Mutuo Soccorso Dante Alighieri in Rouse, later moved to Walsenburg and still active to this day in Denver. 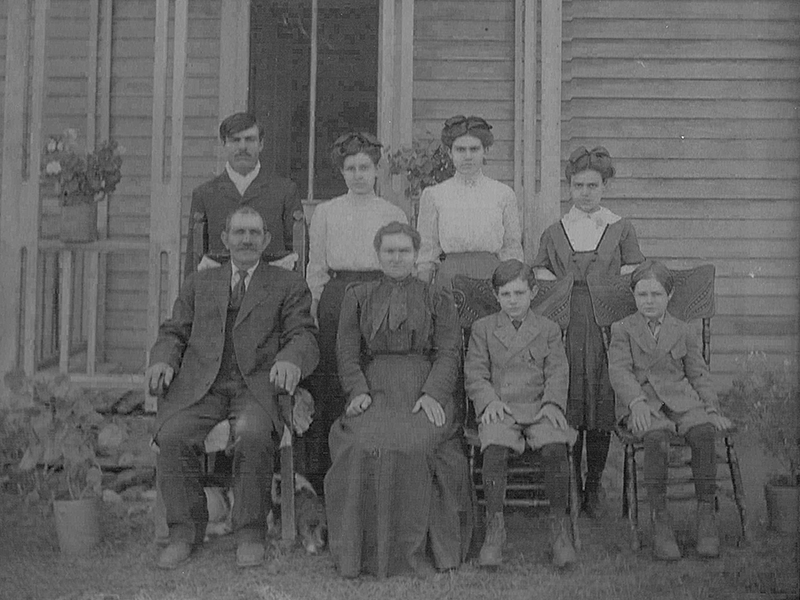 In the years between 1905 and 1908 the Brunellis ran a saloon in Rouse, and that very address was used in the entry documents to the United States of my great-grandfather in Ellis Island, as well as many other Trentini. 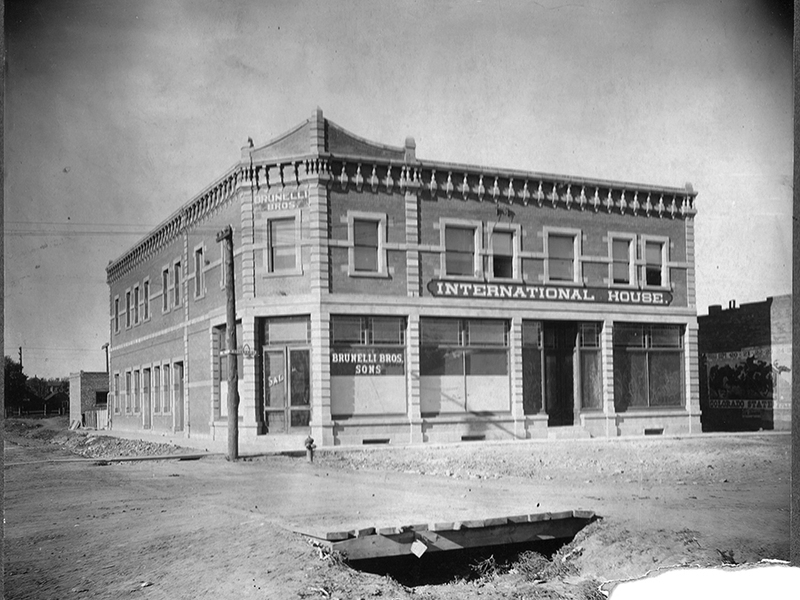 In 1909 they opened the International House on 7th street in Walsenburf, later St. Charles Hotel, reference point for many immigrants to the first experiences in America. 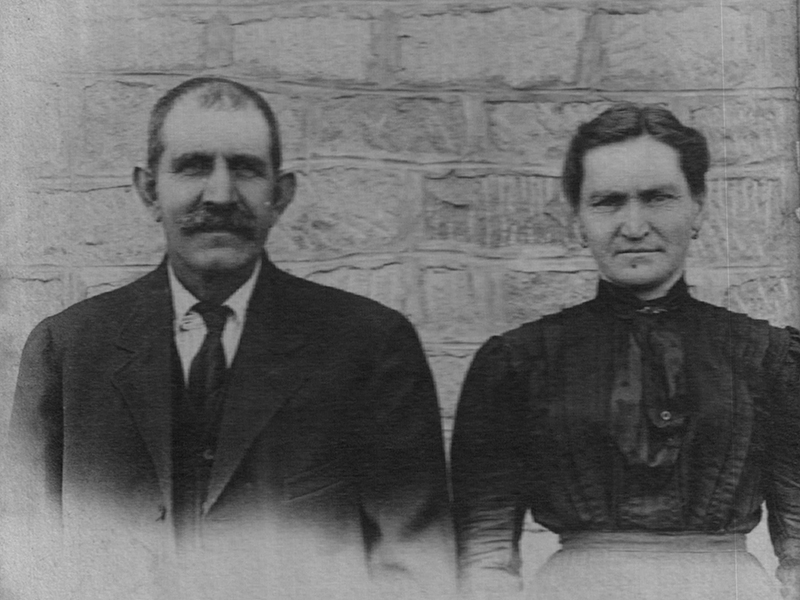 Carlo died in 1911 and Giuseppe in 1939, and their numerous descendants still live in Colorado.